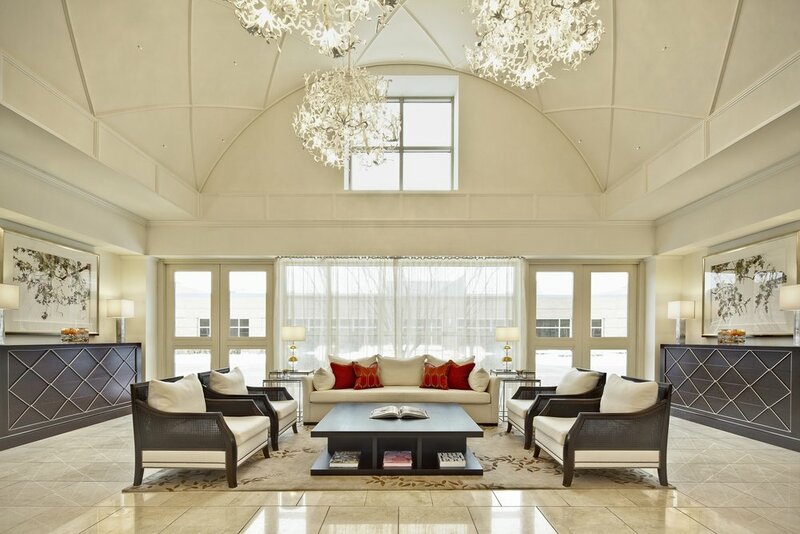 Located in Midland, Michigan under the Ownership of The Dow Chemical Company and Dolce International, The H has undergone a $25 million dollar transformative hotel renovation that is the creative vision of Anderson/Miller, Ltd (AML). The H (the chemical symbol for hydrogen) is expected to be the only 5-star hotel in the State of Michigan. The construction includes all of the Public Spaces and Indigo Ballroom which joins the recently completed dining outlets and H.H. Dow Academy, an executive learning program for Dow's global leaders. The H Reception defines the innovative design vision that is incorporated throughout the project…..clean, fashionable and streamlined relevant beauty. AML utilized a luxurious neutral palette of leather, stone, hand finished millwork and Jonathan Adler lead crystal table lamps to frame the stunning iconic panels of the Erwin Hauer studio. 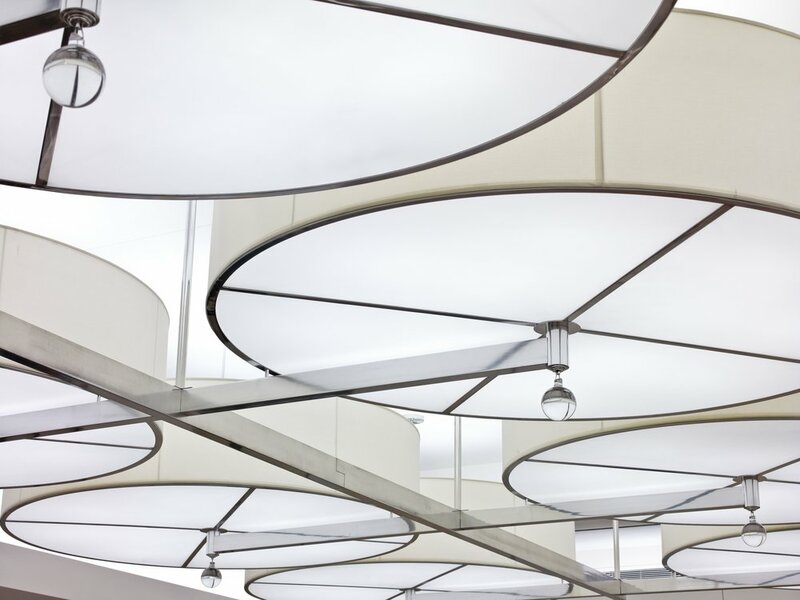 Confidence that these panels were the correct element to complete the space, AML was persistent in cajoling the Hauer studio to consider collaborating with them on the project. Their ten month effort pays off in this impressive display.